A little romance, a little urban elegance, two wedding elements that we never get tired of! 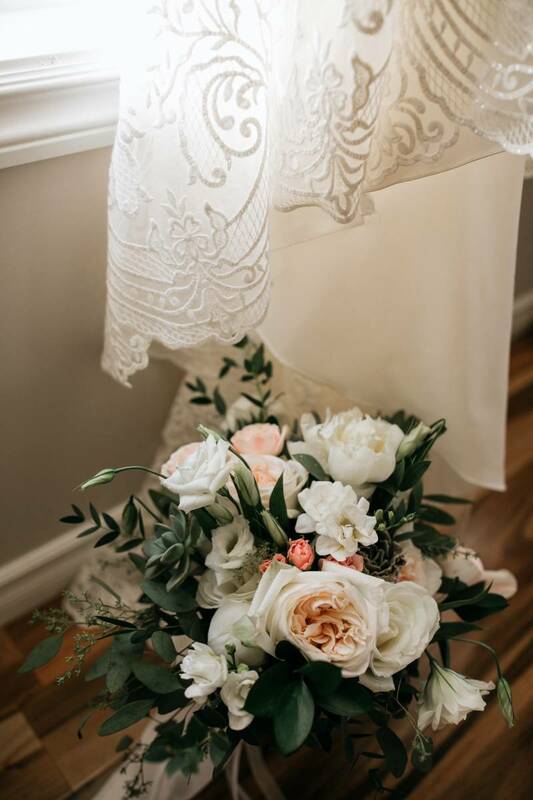 Today on the blog, Edmonton wedding photographer Carissa Marie Photography is sharing Michelle and Kevin's gorgeous wedding day. 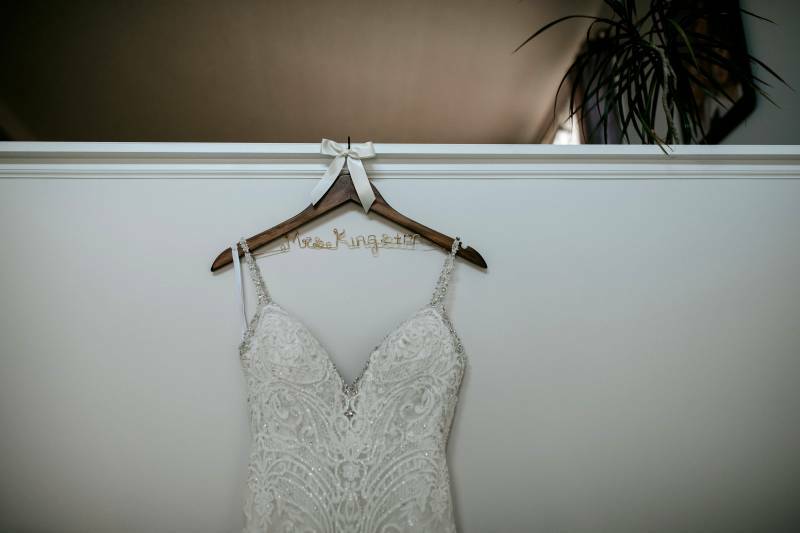 We are OBSESSED with Michelle's lace wedding gown (wait until you see how stunning the train is!) and her bridesmaids style is more than Pin-worthy. With a dessert bar filled with candies and cakes, this wedding is too sweet to miss. Scroll down to hear more from the couple about their proposal story and meet the entire Creative Team after the jump! "Kev and I first met back in 2014, through a mutual friend at his condo during a birthday/housewarming party. We both made nothing of it, in fact Kevin soon left after introducing himself to me over a casual handshake and name intros. Although, I was immediately captivated by his beautiful smile and mesmerizing green eyes. Fast forward to November of the same year and we run into each other again through the same group of friends, this time for a different friend's birthday. Neither him nor I planned to be out that night but after a lot of bribing from our friends, they successfully convinced us to come. I remember seeing him across the bar, sitting at a table with some of our friends, and I thought to myself "hey I know that guy from somewhere" and he was thinking the exact same thing about me. He spent the next six weeks trying to convince me to go out on a date with him, but I kept having excuses. Finally, one night he texted saying that if I was still interested that I could send him a text when it was convenient for me. I was shocked by both his perseverance and directness. I was intrigued and agreed to a date on a Friday night to a Malaysian restaurant, and a surprise Oilers game! With a super late night visit to Earls for dessert. It was the best date I have ever been on! Then in January 2017, on "Lovers Island", a private island in the Philippines, surrounded by family and friends, Kev got down on one knee and asked me to marry him! It was the most perfect moment.